These simple centers can be used when teaching or reviewing math facts. Simply laminate or slip into a page protector. Students use dry erase markers on these pages to use over and over again. The provided flashcards are editable! 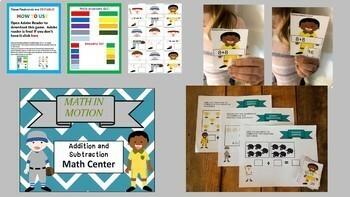 You can create your own flashcards using any of the math facts your students are learning. The answers will appear on the bottom of the flashcards. 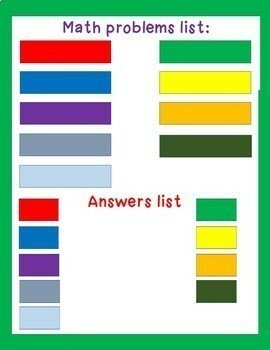 Place a thumb over the answer box to hide the answer. 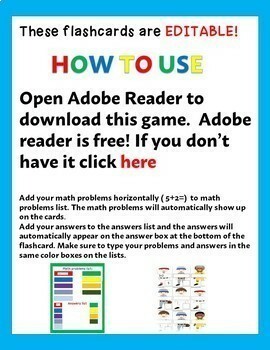 Math facts practice sheets included.